1. 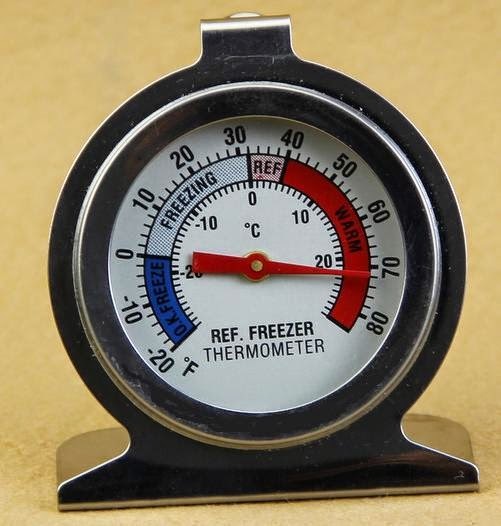 Hang or stand thermometer inside refrigerator or freezer in a visible area. Most Temperatures will vary from top to bottom and side to side. 2. Attempt to be consistant in loading of refrigerator unit. Overloading and not evenly loading will also lead to varied temperatures. 3. Avoid frequently opening door. 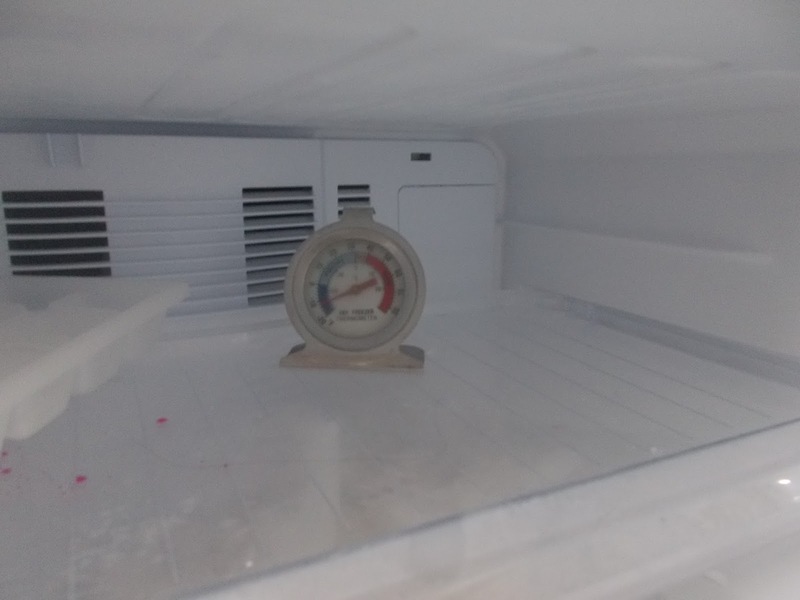 At what temperatures should your fridge and freezer be set ? microorganisms such as Salmonella,E. coli O157:H7, and C.
Refrigerate or freeze perishables right away. Foods that require refrigeration should be put in the refrigerator as soon as you get them home. 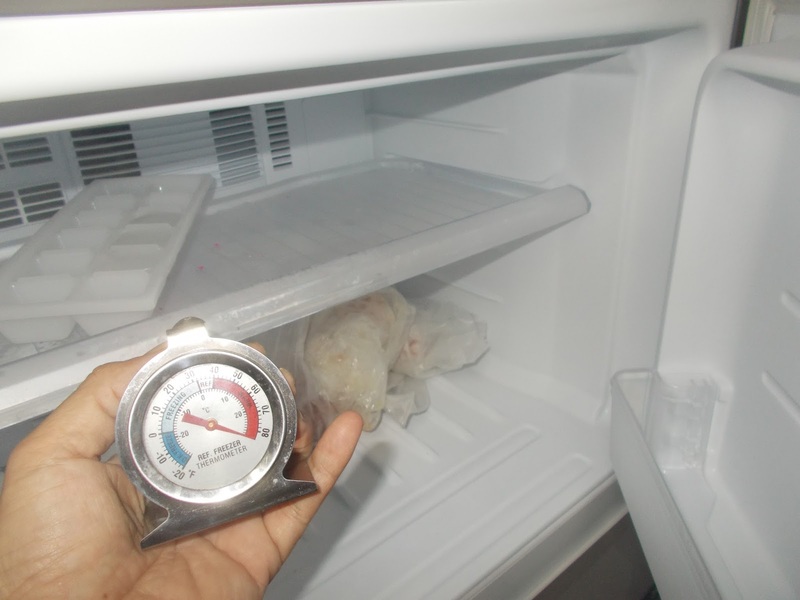 Stick to the "two-hour rule" for leaving items needing refrigeration out at room temperature. 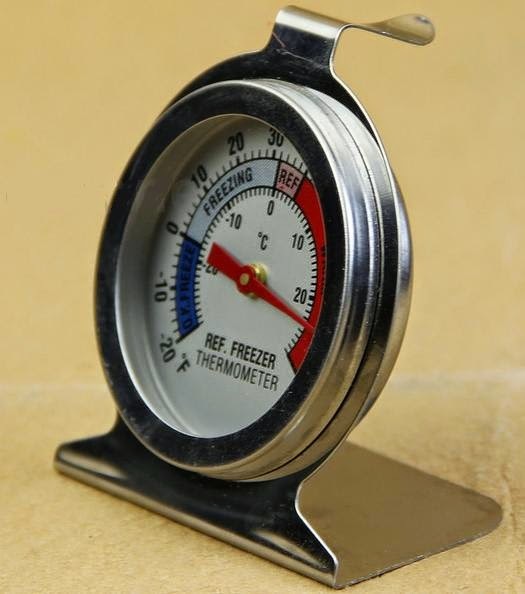 Never allow meat, poultry, seafood, eggs, or produce or other foods that require refrigeration to sit at room temperature for more than two hours—one hour if the air temperature is above 90° F. This also applies to items such as leftovers, "doggie bags," and take-out foods. Also, when putting food away, don't crowd the refrigerator or freezer so tightly that air can't circulate. Check storage directions on labels. Many items other than meats, vegetables, and dairy products need to be kept cold. 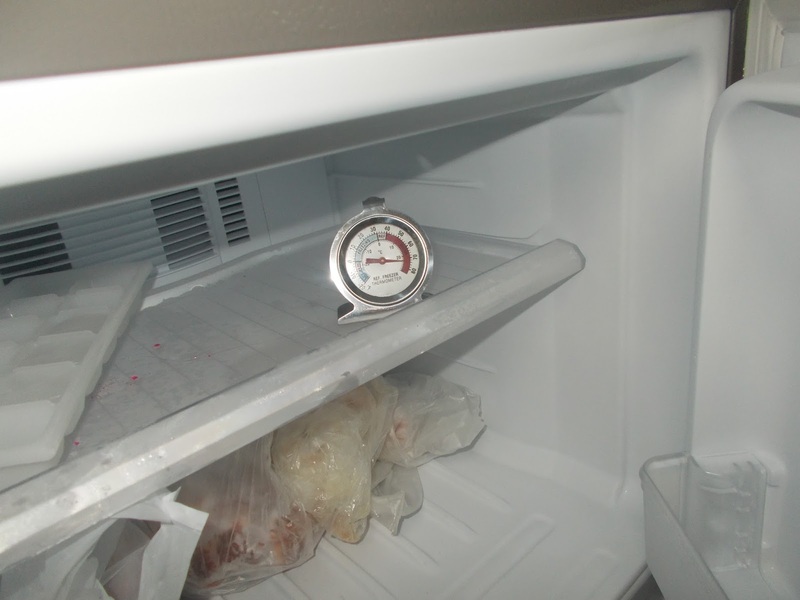 If you've neglected to properly refrigerate something, it's usually best to throw it out. Use ready-to-eat foods as soon as possible. Refrigerated ready-to-eat foods such as luncheon meats should be used as soon as possible. The longer they're stored in the refrigerator, the more chance Listeria, a bacterium that causes foodborne illness, can grow, especially if the refrigerator temperature is above 40° F (4° C). Be aware that food can make you very sick even when it doesn't look, smell, or taste spoiled. That's because foodborne illnesses are caused by pathogenic bacteria, which are different from the spoilage bacteria that make foods "go bad." Many pathogenic organisms are present in raw or undercooked meat, poultry, seafood, milk, and eggs; unclean water; and on fruits and vegetables. Keeping these foods properly chilled will slow the growth of bacteria. 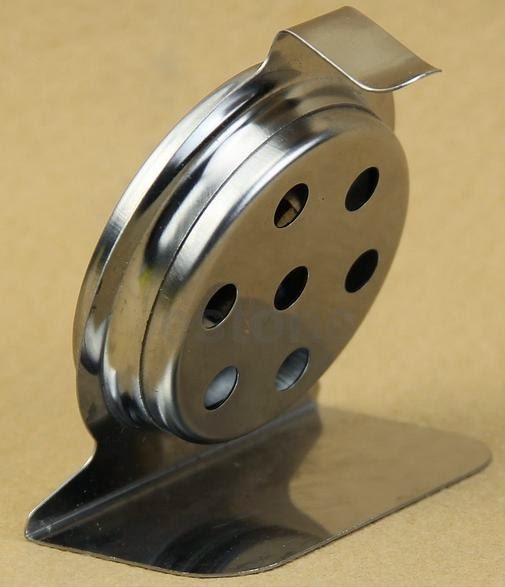 Size: about 72 x 62 x 42mm/29.38x25.3x17.14"